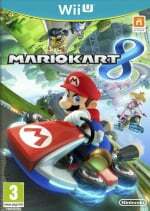 Considering the notable success of its predecessor and the fact that we've thoroughly enjoyed our limited hands-on time with it so far, there's little doubt that current and prospective owners Wii U are keeping a close eye on Mario Kart 8. Much is yet to be revealed — such as the online and multiplayer modes, the potential inclusion of Communities and so on — yet Nintendo has time to build hype ahead of its 30th May release. Details are slowly being teased out, however, and Nintendo's recently been using its social media channels to show a little more of some new courses; naturally we've decided to put them all in one convenient place. 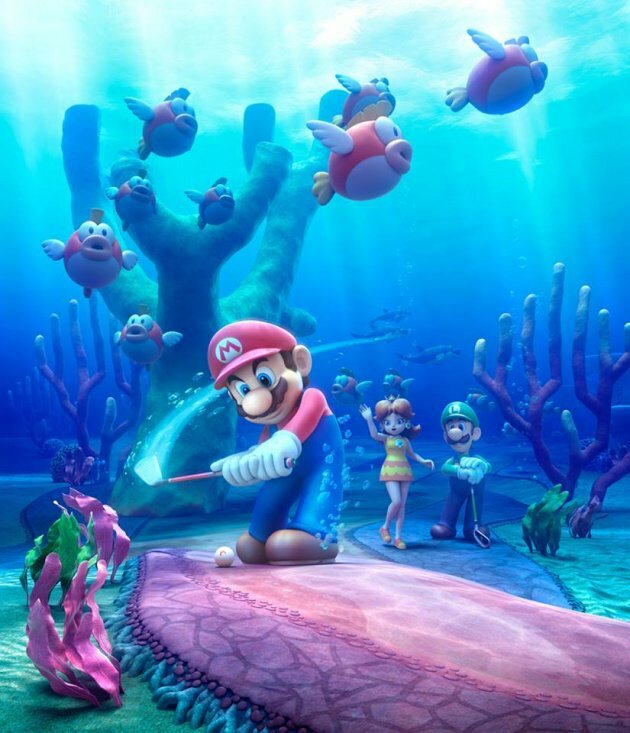 Of the five shown so far three have been playable at press and expo events — Mario Circuit, Toad Harbour and Twisted Mansion. All three of those have gone down well with the Nintendo Life staffers that have taken them on. Below are the Facebook posts that give a glimpse of these new tracks, including Sweet Sweet Canyon and Thwomp Ruins. Let us know what you think in the poll and comments below, while you can also check out the latest trailer that was first shown during the most recent Nintendo Direct. I can't decide...all of them? They're all so goooood!!! Although I do love twisted mansion. These stages all look pretty fantastic. I'm really getting pumped for this. The courses are one aspect in which Mario Kart continues to impress me. Hey, there is a Piranha Plant in my Sugar Rush! All look great, but I gave my vote to Toad Harbour. It's all about Thwomp Ruins. I love the tracks, can't wait to practice my driving skills. Toad Harbour for moving the Statue of Liberty to San Francisco. Can't go wrong w/ trolleys. 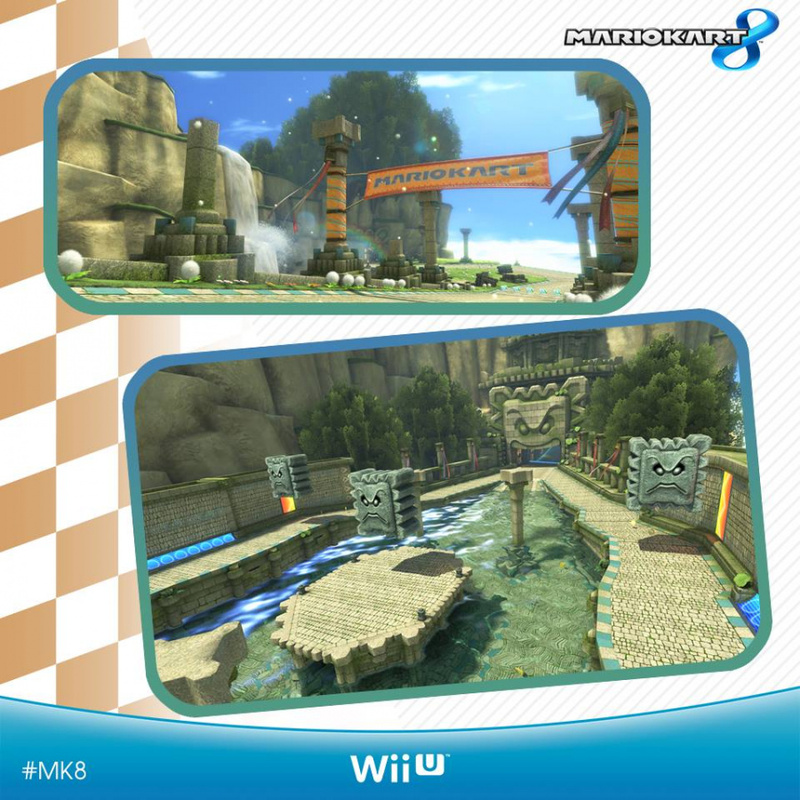 At first glance that 2nd Mario Circuit track photo looks like a really lame homemade MNR track, they should have showed it from the other side where ever that track twists off to. Glad to see Nintendo marketing this, maybe someday we will get a home demo w/ online challenges like Rayman. Do we know what the Gamepad screen is used for yet? I really want a game to have FP view on that screen. FP view on the Gamepad while using it to motion steer could be really cool - and vomit inducing - on those anti-grav tracks I only ever played MK Wii w/ the wheel so I'm ready to steer. I watched exactly 1 hour of tv last night and saw 1 commercial each for inFamous 2nd Son and Titanfall. 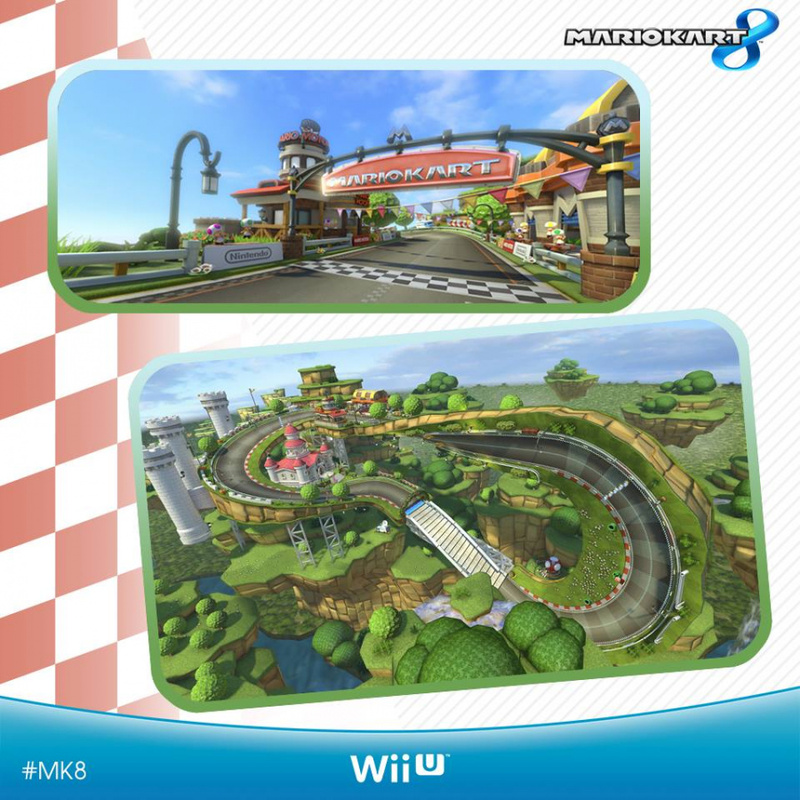 At least those 2 will be long gone from memory when MK8 comes out. the game looks so gorgeous ! That underwarter track with Mario and Luigi playing golf looks ace. I wonder if they'll ever give it its own game. Online multiplayer in this game is going to destroy my life! I only voted Toad Harbor because it reminds me of San Francisco where I went on vacation last year. I fell in love with that city. Otherwise you guys need to add a "I can't decide/All of them" voting option because they all look great! On a different note. Instead of killing their own F-Zero franchise by adding some of its elements to Mario Kart (wall and twisting tracks), Nintendo and Miyamoto need to create the next installment of F-Zero. Both games belong to completely different subgenres of racing games and they can coexist on the same console. A bright red Wii U MK8 bundle limited edition of this will certainly move boxes. My local GameStop already has an overhead poster up (it looks so beautiful). I am so pump up and looking forward playing this game. Played this game last year at BestBuy E3 / Nintendo demo. The Toad Harbor is very much appealing to me, since I grew up in the Yay Area. 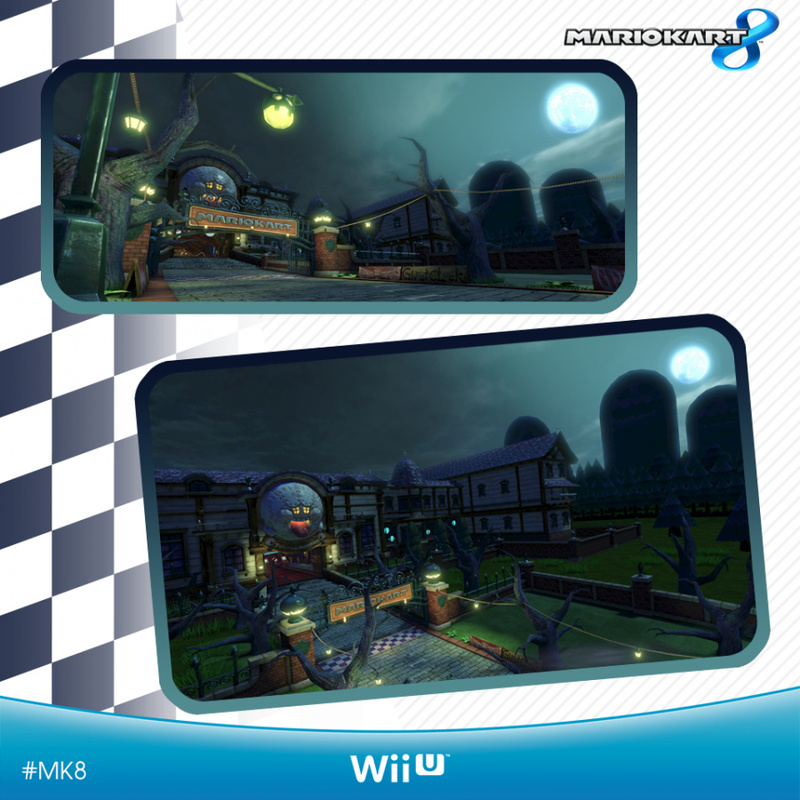 toad harbour for the looks, mario circuit for the upside down part, twisted mansion for the insanity. this game just screams level design. every course shown from all the traillers (there are about 12 courses so far) is going to be awesome. They all look great but I'm a sucker for Mansion-themed levels. @rjejr On preview builds I've played the screen can show an overhead map (if memory serves) and had a car horn button; you can also switch between motion and stick controls. I hope it's used for little, to be honest, as it's really all about the race. Hopefully local multiplayer will go up to 5 if someone can play solely on the GamePad screen. a) Give us the demo Nintendo, we can beta test the online! d) I hope they've found some interesting new modes that use the gamepad and that splitscreen can be horizontal as well as vertical. @ThomasBW84 Will NL be having one last night of MKW before the servers are shut off? Those Luigi's Mansion courses get better by the game! 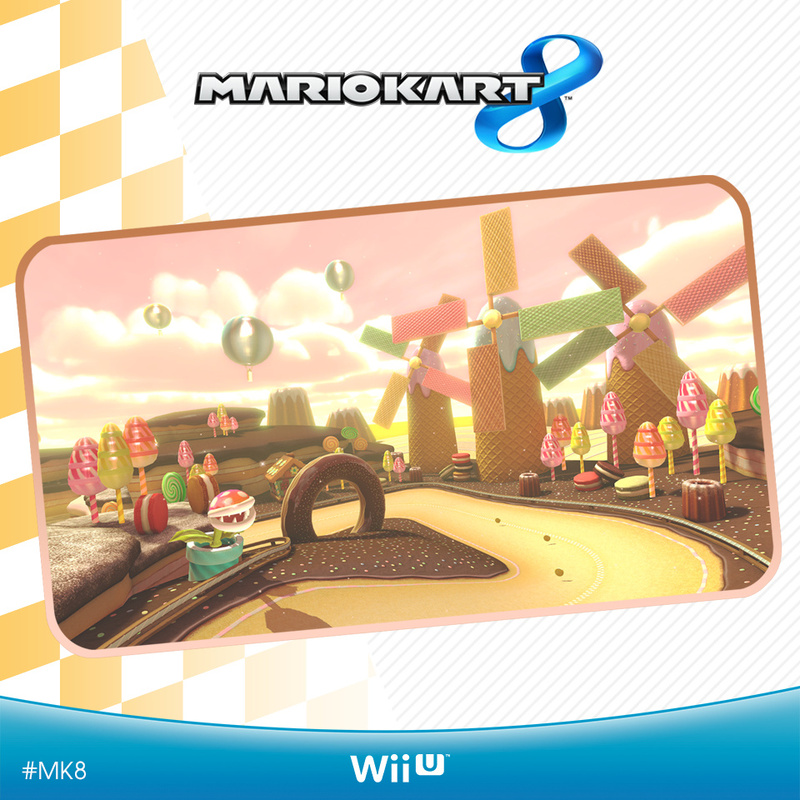 This will be the first Mario Kart where I just drive instead of race. I will be racing online, but I'll also be hitting the brakes and just taking in the view as well. Toad's Harbor gets my vote. @ThomasBW84 would love the gamepad screen to act as a rear view mirror myself. @ThomasBW84 Totally agree, too much gamepad use would be detrimental to the core game. Also since its locàl and online multi they can give the gamepad too many functions or it will be unfair. Maybe a special one player mode for the gamepad like DR Luigi has would be okay though. @luke88 I think there might have been a rear view option, but good God don't quote me on it. It was months ago. That maybe emphasizes the point, as my eyes were glued to the TV. While the concept of a rear-view mirror is nice, I honestly think hardly anyone would look at it. @Nintenjoe64 MKWii doesn't have communities though, does it? I thought it was just Friend's lists. The idea of having an article where we can post comments as we play might be fun though. Regarding Gamepad usage, it would be fun to have a Double Dash mode where the copilot has his/her own view on the Gamepad, while the driver uses the TV screen. Who voted for "Bah! None of them...". Reveal yourself! I think Thwomp Ruins will be the best in game, but from the pics it looks a bit bland so the mansion gets my vote. LOL i was going to say none, because i can't see them, other than one, but the Haunted Mansion easy! Is that a Rosalina Statue of Liberty in the background of toad harbour??? @ThomasBW84 yea, the pad can be distracting. Well, GameXplain was right with the names. They're all looking nice to me. The graphics are nice and all but I want to actually see the course layout. Clearly Toad Harbor because of City Escape! They all look great. I can't wait! Give me Rainbow Roads, and I might reconsider! May 30th can not get here soon enough. I CAN'T FRICKIN' DECIDE!! They all look so delicious...I mean..er..good. Yeah good! Mario Kart is one of my favorite franchises, so I may have bias with it. It can look terrible, but I would find some beauty in it. LOL Seriously though, all of the tracks look great and I can't wait to see more. Sweet Sweet Canyon and Toad Harbour look best. this game will be so amazing..
@ThomasBW84 Yeah I do think you could be right but am still hopeful as I think it would be a neat feature, even if it does go a little underused. Perhaps it depends how much time you're planning on spending in first place? ; ) Personally I imagine I'll be spending a lot of time checking my rear view mirror. Am so excited for the game, so jealous of you guys having spent some time with it. Wow, this game is gorgeous. I need it, naow! Question: Which of these courses are you most excited for? They all look like awesome tracks! All of the courses look really great, but Toad Harbor and Thwomp Ruins stood out to me the most. As soon as I see Toads level, I started singing in my head "rolling around at the speed of sound..."
Gotta love Sweet Sweet Canyon for its obvious nod to Sugar Rush. And even if it isn't meant to be, it's still really cool in how similar it is. The starting/finish line even has a crowd of gingerbread people, very similar to the crowd of candy people in Sugar Rush. Toad Harbor looks awesome but at the same time, I've always hated the levels with other "traffic" in them. I didn't like Coconut Mall or Moonview Highway for the same reason. The Sweet Sweet Canyon track reminds me or Wreck-It Ralph's Sugar Rush. Thwomp Ruins and the Mario Circuit tracks made me excited to grab this game the second it comes out. Thwomp Ruins probably looks the best to me but I'm most excited for the Twisted Mansion. Meh, I just can't get excited by looking at a couple of screens. These handful of screenshots don't really do anything for me either, I'm waiting to see what kind of a role the antigravity is going to play in the track design, but so far I haven't seen much. I've never been much of a fan of MK's track design anyway. Psyched for the new Mario Circuit. I can't get enough of courses that just go in a straight line with zero player interaction. Voted Toad Harbour. I like them all except for the sweet one.the newer stages, and the airport are the real highlights though. Hey that Sweet Sweet Canyon sure looks a lot like Sugar Rush from Wreck-It-Ralph! I voted Toad's Harbour because it looks like it'll probably be the most fun online! @ThomasBW84 - "I hope it's used for little, to be honest, "
It occurred to me later that if the game has off tv play and motion controls - as it should - thats basically the same as it having a first person display. And I dont think we would ever use 5-player but 3 player - 2 on tv and 1 on the Gamepad - would also work nicely. So much potential. @OorWullie Wut? How can you not have a 3DS by now? Its only the best gaming device to be released in the last 3 years. I'm looking forward to Toad Harbor mainly because I live in San Francisco. Toad Harbor is looking to be the second funnest video game level based on San Francisco. Is it too early to board the hype train? No? Ok then, all aboard! Can't we have courses based on actual existing stages from the Mario games? These courses look good but they're fake - they don't exist in the Mario games. How about Acorn Plains instead? I would have each Cup based on a different Mario game. Mushroom Cup would be based on four though - Mushroom Kingdom, Subcon, Sarasaland and Mario Land - SMB1, SMB2, SML1 and SML2 respectively. Mario Land would have you racing around the map screen from Super Mario Land 2. Other Cups would be based on SMB3, Super Mario World, Wario Land, Mario Party Super Mario 64, Super Mario Galaxy, New Super Mario Bros. Wii U, etc... Not just loosely based upon but directly based upon. Sweet Sweet Canyon. And if anyone wonders why, I'M GONNA WRECK IT! I love the SF look of road harbor! I don't get excited by looking at screenshots, but by playing games. It's just as well, there's not a hint of originality in any of these tracks. Sweet Sweet Canyon gets my vote. I may have to have "Sugar Rush" playing in the background on loop lol. Toad Harbor is the close second. Toad Harbor looks AMAZING, heck this game is shaping up to be fantastic addition to the Wii U library!!!!!!!!!!!!!!!!!! 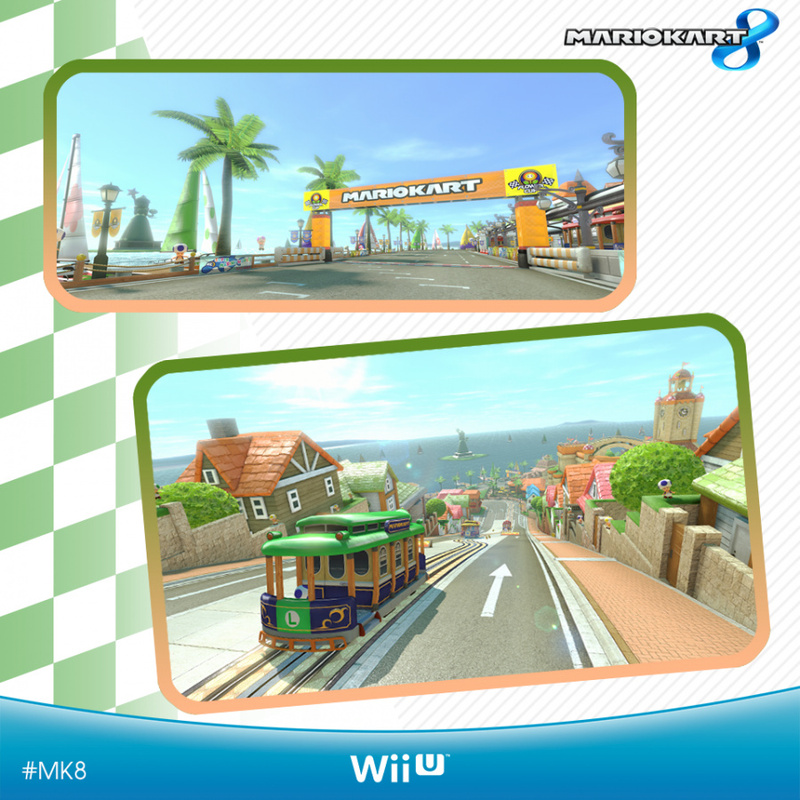 Toad Harbour reminds me of San Francisco and Crazy Taxi on Dreamcast. So that's my vote. Well they all look amazing but if I had to decide Twisted Mansion looks pretty sick! And I love the look of Toad Harbour. can't wait!!! I voted Thwomp Canyon. The layout just looks epic! Is it just me or does the layout of the Toad level bear an uncanny resemblance to Lego City? Also did anyone notice that Mario Circuit is a big fat Mobius Strip? I'm NEVER voting for this poll. Why? Because I like ALL of tgem. All of the stags I've seen so far are gorgeous. @Andyjm I think it's Peach, and that would male more sense since she's the Mushroom Kingdom's political figure, but Rosalina's does look slightly more like Lady Liberty. I think she (whoever) is also holding a Toad in her left hand, too. Love all these, so hype! Heheh, if Disney can borrow from Nintendo, then expect Nintendo to borrow right back. @sinalefa That was my exact reaction to that screenshot, all we need are candy karts and Sugar Rush can be a reality! Too bad WiR has been out too long for it to be timely to have Vanellope as a racer. Maybe King Boo or Shy Guy has a 'glitch' power-up. Mario Circuit and Thwomp Ruins look fantastic, but I really love the Luigi trolleys in Toad Harbour - perhaps their own little reference to the L Train? If they want to make the most of this chance they NEED a Mario Kart bundle. Maybe leave out the screen pad and drop the price to something parents can't refuse. An HD Wii with a new Mario Kart for £150: PEOPLE WILL BUY IT.